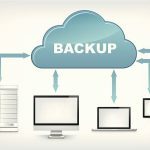 Often the most overlooked part of IT monitoring and backup of your infrastructure a critical part of your company’s success. Bell Shore Technologies can monitor and backup critical systems and notify you when there is an issue. We can even take care of the issue with our Remote IT Services and Managed Cloud Service offerings. Call Bell Shore Technologies for a free monitoring and backup audit.